Germania Fluggesellschaft mbH, an airline from Berlin, has been successfully using the Revenue Accounting System SKYfly Revenue by ISO Software Systeme for three years and is highly pleased with it. Now its affiliated company Germania Flug AG, headquartered in Glattburg in Switzerland, has decided to also use SKYfly Revenue for its revenue accounting. Germania Flug AG was established as an independent company in August 2014, with Germania Fluggesellschaft mbH holding a minority share. Since then, the airline has been offering services to popular destinations in southern Europe as well as the Balkans. By the end of October 2015, Germania began its single-seat sale for the 2016 summer flight schedule. Besides the holiday and ethnic tariffs, scheduled connections are thus also offered. 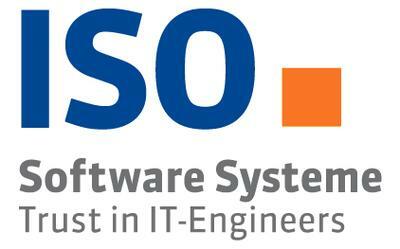 The ISO Software Systeme GmbH has established a solid reputation as a major player in IT consultancy, software development and related services. 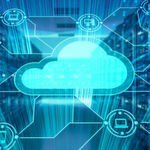 Software development with a focus on Java, Microsoft and Oracle is our core competence – for our own products as well as on behalf of our customers. The core competencies of ISO Software Systeme for the aviation industry include: SAP consulting and development for airports, IT solutions for airport operators, Air Traffic Control and airlines as well as ground handlers. 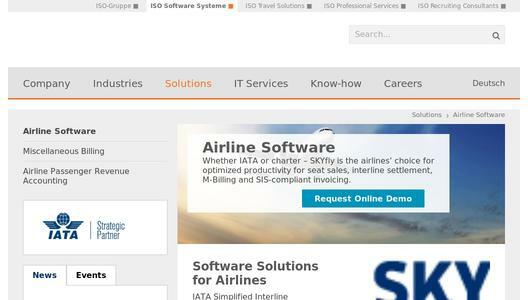 Software solutions from ISO are in use at more than 40 airports worldwide – from the regional airport in Dortmund to major airports in Europe such as Zurich to major international airport in Bangkok. 1ISO has been active in the market since 1979 and has since become an international IT service provider. Targeting specific markets has resulted in several powerful and innovative companies under the umbrella of the ISO-Gruppe. These include ISO Software Systems (specialized in software engineering and IT consulting), ISO Travel Solutions (an IT expert for the tourism industry), ISO Professional Services (a specialist for SAP and infrastructure services) and ISO Recruiting Consultants (a provider of IT personnel services).